Russell Howard Dating His Girlfriend; Her Identity And Does The Pair Plan For Any Wedding? Home Article Russell Howard Is In Relationship With Cerys Morgan And Living Happily Together; Are They Engaged? 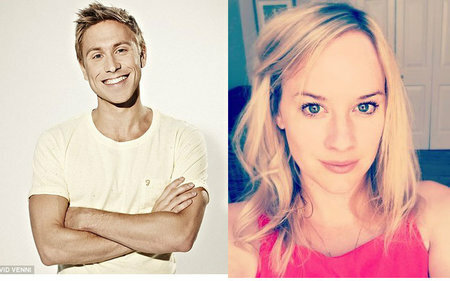 Russell Howard Is In Relationship With Cerys Morgan And Living Happily Together; Are They Engaged? It is undeniable that British actor Russell Howard is a great comedian. He has the capacity to take hold of the audience's mind throughout his shows. People often make generalizations that a comedian's family, in reality, is happier than that of a serious actor. If you are willing to know whether Russell Howard lives a happy life and about his relationship status, you are in the right place. British comedian Russell Howard is best known for his recent venture "Russell Howard's Good News" and "The Russell Howard Hour". He makes frequent presentations on both television and radio. Whenever he is on stage, he brings side-splitting laughter among the audience. 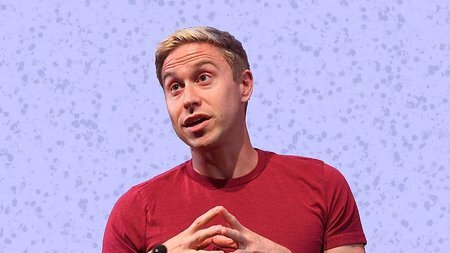 Russell Howard during a stage show. 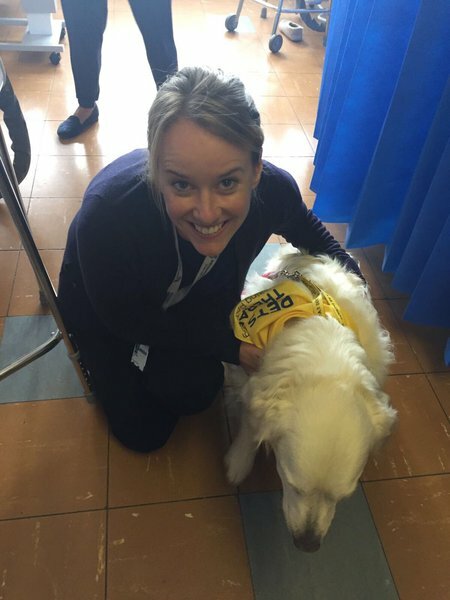 Howard is in a relationship with Cerys Morgan who is a doctor by profession. Presently they live together in a place called Lemington in Warwickshire town of England. They are in a very good relationship because they are ready to sacrifice for the sake of one another. Russell was born in Briston and moved to Lemington for the sake of his girlfriend who studies there. Howard Russell and his girlfriend, Cerys Morgan. "Being a doctor is a proper job and you have to respect that. . . .It’s nice to be going out with someone who’s doing such an inspirational, worthwhile job. Not that she’s very sympathetic to me – I’m a massive hypochondriac, always complaining about some ailment or other, but she just ignores me." This duo met around 2001 at a Venture Scout disco through Morgan's elder brother when they were quite young. When they saw one another for the first time, Howard was 21 whereas Morgan was only 17. Russell quickly took a liking to his friend's sister, Cerys, and it took him no time to convince her. According to Howard, Cerys' brother, however, did not like them to have an affair initially, however, they convinced him as well. This couple keeps their private life a low key and they do not seem to like the virtual love because we rarely see them together in social media. It might be because Cerys is busy with her studies and job, whereas, Russell spends most of his time with his mother, Ninette Veale. "I'd rather not speak about her because she has a proper job and I am a clown." We can say that finally, the day is approaching! During an appearance on Alan Carr's Christmas Cracker on Christmas Day 2018, he revealed that he is getting married to his girlfriend in 2019. Are Russell Howard and Cerys Morgan Engaged? Russell and Cerys promised to stay alongside one another for the rest of their lives. Both Russell and Cerys are more than old enough to get married but that seems to make no difference because they are enjoying their lives together. They are not even showing any indication of their prospective marriage, except Cerys' one tweet. Nonetheless, God knows if she meant her own marriage or any other person's. Moreover, even after almost two decades of their relationship, this duo does not share any child yet. Born on March 23, 1980. Born as Russell Joseph Howard in Bristol, England. Stands at a 1.7 m. tall. Son of Ninette Veale and David Howard. Two siblings: Kerry Howard and Daniel Howard. Estimated net worth is $9 million.